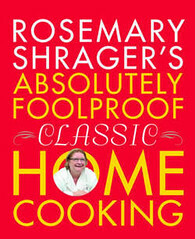 Rosemary Shrager's Absolutely Foolproof Classic Home Cooking is a book that takes you back to basics. Anyone who has seen Rosemary on television will know that she is passionate about food and one of her greatest pleasures in life is teaching people how to cook. This book is a bit like having Rosemary in your own kitchen, helping you to master 20 essential recipes, which prepares you for the accompanying 250 classic recipes in the book. With plenty of notes and explanations along the way, you should be able to produce faultless dishes of your own, with total confidence. 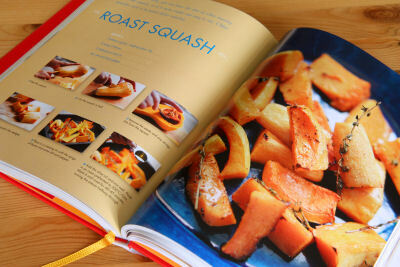 Each chapter includes an essential recipe, with glorious step-by-step full colour photos. You'll find everything from white sauces and roasts to pastry and breads, and there are plenty of variations on the recipes including 'tips and ideas' scattered throughout the book. 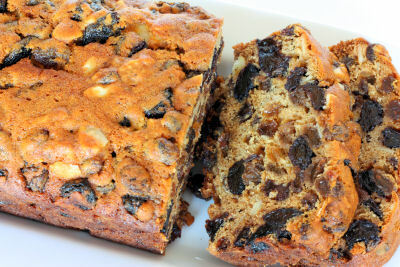 I made the 'Rum and Fruit Loaf' on page 253, it was moist and stogged full of fruit. You could actually taste the rum, but soaking the fruit in the rum overnight would make it even better. I loved the chapter on soufflés: traditional savoury and sweet soufflés, plus a 'twice backed cheese soufflé'. There was also a recipe for a 'cold lemon soufflé'. I was a bit disappointed with the lack of vegetarian dishes, there is a small chapter on vegetables however, including recipes for 'pea, mint & goats' cheese purée', 'crushed potato, rosemary & thyme cakes' and 'braised fennel'. This book is aimed at beginner and intermediate cooks, with very clear instructions that are easy to follow and nicely laid out pages. One thing I did find frustrating, however, was that some of the chapters had very pale colour type for the ingredients making it hard to read. You won't find shots of Rosemary plastering the pages (which seem to be the trend with celebrity chefs these days) just beautiful glossy food photographs - the majority being full page ones. This is one book that I would be happy to give to my teens, in fact one asked if he could make a dish to test out the 'foolproofness', so watch this space! Line a 500g loaf tin with non-stick baking parchment and heat the oven to 150ºC/Gas mark 2. Melt the butter and sugar together in a large saucepan. Remove from the heat, then stir in the dried fruit and flaked almonds. Transfer to a large bowl. Stir in the egg, followed by the tea and rum. Sift in the self-raising flour, plain flour, mixed spice and the bicarbonate of soda. Mix well. Pour the mixture into the loaf tin and place into the pre-heated oven. Bake for 1¼-1½ hours, until the loaf is firm to the touch and a skewer comes out clean when inserted into the centre of the loaf. Remove from the oven and leave to cool in the tin for an hour before tuning out onto a wire rack to cool completely. Wrap in foil and leave overnight before slicing. The book can be bought directly from Octopus Books, or from Amazon. I really like Rosemary Shrager and her enthusiasm for both cooking and teaching. Mmm that loaf looks so good and fruity! 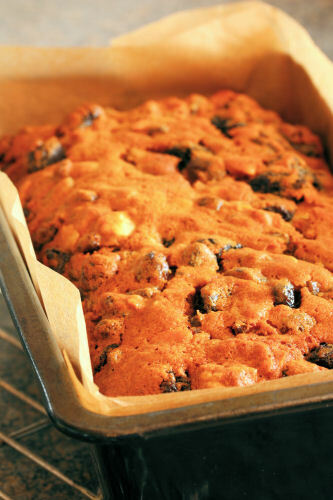 I actually have a jar of some very potent rum soaked raisins, would be able to put them to good use with the recipe, I do hope you get permission to post it up! Another book for the long list! That fruit loaf does look good! Sounds like a great book.